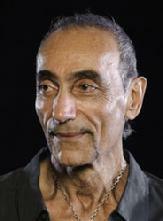 John "The Beast" Azari (born 1951) is considered by many the most successful trainer in the world. He was born in Persia, in a small town near the Russian border. A young child with big dreams. At the age of six he would visit the town's gym to be with his cousin, a heavy weight boxing champion. By the age of twelve, "The Beast", as his mother affectionately called him, was training his cousin and he realized he had found his calling. "The Beast" set out to become the best trainer in the world. He devoted his life to training in order to achieve his dream. He had to overcome many obstacles and barriers along the way as he acquired nearly four decades of knowledge and wisdom never before seen in the world of health and fitness. His intelligence, wisdom and intellect are beyond anything imaginable. He is restless in his pursuit of perfection and believes that anything is possible. He is a student of life. He is called "Coach", "Mentor", "Big Brother", but those who know him well, call him a "Living Legend". There are hundreds of testimonials on file from people of all ages who have achieved astounding results in a short period of time using John's unique training methods. The "John the Beast System" is for anyone, male or female, teen or adult, of any age - who wants to be the very best they can be in order to live their life to the fullest! John has a Black Belt in Judo from the United States Judo Federation. He is an inventor of 2 fitness machines; both with U.S. Patents and Trademarks. His is also the published author of "WAKE-UP!". This powerful book details how the simple and scientific training methods developed by John are combined with natural nutrition and a philosophy of good living resulting in improved health, greater mental acuity and physical independence. It is a promise for a healthier lifestyle and a plan for living life to its fullest potential.